Oracle Team USA stepped back on the podium after finishing second overall at the Louis Vuitton America’s Cup World Series Oman on Sunday. 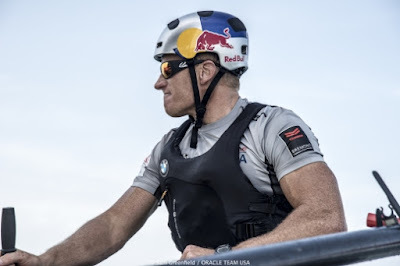 Skipper Jimmy Spithill and crew bounced back from a slow start to hold on to second at the event, and the team remains second in the overall series standings. “We bounced back well after the first race. That was obviously not the best way to start the day. But, I feel like we took another step forward in performance today,” he added. Oracle Team USA started the day in second place behind Land Rover BAR after Saturday's three races. In the first of three double-point races on Super Sunday, they found themselves at the back of the fleet after being forced to dip behind Artemis Racing and Groupama Team France at the third gate. On the last leg, they moved up one spot to finish fifth, while Emirates Team New Zealand took the win. 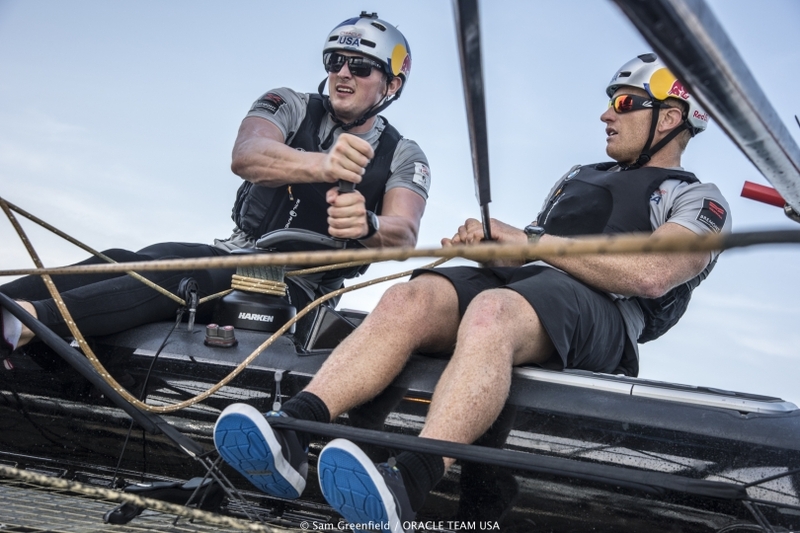 For the sixth and final race of the regatta, Oracle Team USA finished second after Groupama edged ahead on the third of four legs in the race. “Sailing in light air is all about finesse and making adjustments,” said wing trimmer Kyle Langford. “Our team historically has been good at getting the boat around the course in the stronger breezes. We’re not so refined in the lighter air. So, we really focused on our trimming, making sure we were accurate, and also on smoother body movements on the boat. 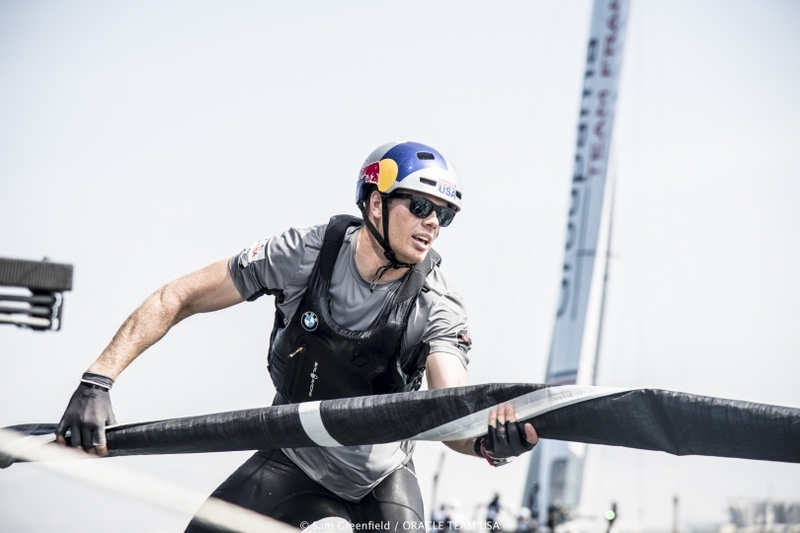 “We made some big steps and we feel more confident in our boat speed and handling in light air, so it was a big step forward for us,” Langford said. Oracle Team USA closed out the weekend in Oman with 74 total points, two points behind winner Land Rover BAR (76). Emirates Team New Zealand was third with 70 points. Find complete results here>>>. 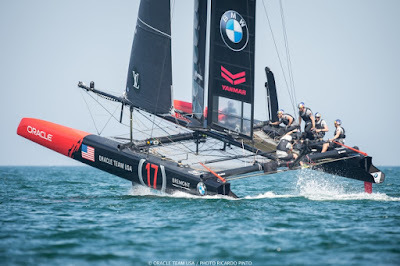 After three events in 2015 and this first event of the new year, the team remains in second in the overall Louis Vuitton America’s Cup World Series standings with 186 points. Emirates Team New Zealand continues to hold the top slot with 192 points. “It’s a bit of a whirlwind to come here for four days and go straight into racing,” Langford said. “Now, we’ll go back to Bermuda and right into the development program. It can be hard to shift focus from racing to development, but we’ll think about racing again in the lead-up to New York. Oracle Team USA returns to Bermuda tomorrow to resume their development program and two-boat testing. For the next event on the race schedule, they will head to the US for the Louis Vuitton America’s Cup World Series New York, running May 7-8.